Simultaneously multiple things had transpired. Hopeful of finding Khushi Kumari Gupta on the rooftop, Arnav Singh Raizada had walked up only to see Anjali bending over the railing a little too precariously. Shyam had been bending towards her, but didn’t seem to be steering her away. So ASR had yelled out cautioning his di. 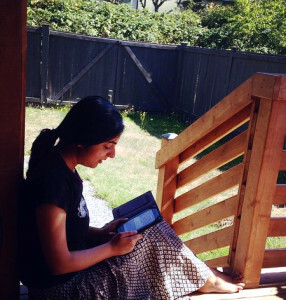 Anjali whirled around with a smile , and Shyam had to try hard to cover up his exasperation. Another foiled attempt! Agile and alert, ASR sprinted towards his di, an anxious expression clearly visible on his face. “Di what were you thinking? Aapko kuch ho jata toh? You should be careful..” He spoke fast, upset at the thought of di getting hurt, however remote such a possibility might have been. “oh ho chote.. Tum bhi na.. Shyamji was here na.. He would have taken care of me. And I can also take care of myself. And I will not leave you and go anywhere till I see you marry Khushiji. So don’t worry chote.” Anjali was shaking her head good naturedly, oblivious to the peril her life was in, blindly trusting the very man who was threatening her life. Shyam just smiled with his rather large teeth shining at his saale saab and followed his wife downstairs. ASR had cringed a little at his di’s rebuking tone. He hadn’t meant to sound accusatory towards jeejaji, but couldn’t help himself. Di’s well being was paramount. He was troubled that di had walked away. A chilly wind had picked pace and he stared moodily at the stars just starting to peep out from the darkening sky above. Two bright stars twinkled in tandem straight above. He grasped the railing tighter, his shoulder muscles flexing through his rust coloured shirt. He took in a deep breath of cold air, knowing it would not assuage the ache that resolutely clung on to him. He felt her before the chime of her payal reached his ears. A sense of dj vu descended upon him. He had not been in talking terms with her that night when he had stood looking at the stars, but she had found him then too. And known what to say. Khushi had gone around the house twice in search of the obnoxious laad governor. First she had decided it was good he was not to be seen and she was happy he was nowhere around. Then an insistent voice inside her had bossed around and forced her to find him.. umm.. to tell him.. samajhte kya hai aap khud ko.. Even before she reached the last step she sensed him close. She knew he was on the rooftop. Was he alone? Dhak dhak dhak.. her heartbeat had started to flounder. Maybe it was not a good idea to try and find him. Finally, she had peered onto the rooftop and caught him staring at the night sky. As she approached his head turned slightly, but eyes remained fixed on the stars. Slowly he faced her. A gush of wind escaped her.. devi maiyya why did he have this pensive look? His startling black iris focused on a distant memory. She wanted to rush to him, she dared not. “Arnavji?”, tentative and hushed came her whisper. When he looked at her his gaze was earnest, piercing right inside her. Suddenly it didn’t matter that Khushi had not the least inkling of what to say, of what troubled him. It definitely didn’t matter that she was scared she would say the wrong thing, that he would get angry at her. He looked torn, apart from the world on a deserted island alone. “Arnavji amma says we are alike.. hum aapke jaise hain aur aap humare..“. She wasn’t sure from where the words had originated, but she had opened her mouth and spoken softly. She waited with baited breath. “What the?” He looked worn out, but he smiled, his head tilting sideways, contemplating the possibility that Arnav Singh Raizada could be like Khushi Kumari Gupta. Sensing him relax a little Khushi determinedly went on. “hum dono ajeeb hai“. She hadn’t really meant to say that. She clamped her hands tightly over her mouth and shivered ready to face his wrath. Instead his thoughtful gaze lingered over her and the smile went slanting to the right. Her heart slid along the gradient, tethering for some time, till his right eye brow shot up and Khushi gave up on remaining unaffected. He was about to take a step closer when a whole lot of noise distracted them both. Payal, Akash, Om Prakash, NK and Lakshmiji had all burst through the rooftop entrance making a lot of noise in the process. “mil gaye“.. “found you bhai..” .. “mae..“.. “eeha hai Khusiji“.. Everyone said almost the same thing at the same time. It was NK who rushed forward, “Khushji your buaji called. Please go home otherwise she will come here. Wo bahut scary hai. Main bhag raha hun agar wo aa rahi hain. Bechara NK hara jayega if she comes“. “hara nai mara NK bhai“. Akash pushed his spectacles over his nose and tried to pacify the panicked NK. “maee“.. Lakshmiji’s bells tinkled loudly as Om Prakash tried to keep a hold on her. “Khushi tum pehle mere sath neeche chalo. Dadiji wants us to choose jewelry for tomorrow. Yaad hai na? tomorrow we have to come here for mehendi“, Payal spoke up firmly. “jiji did you notice your dadiji will be my naniji? 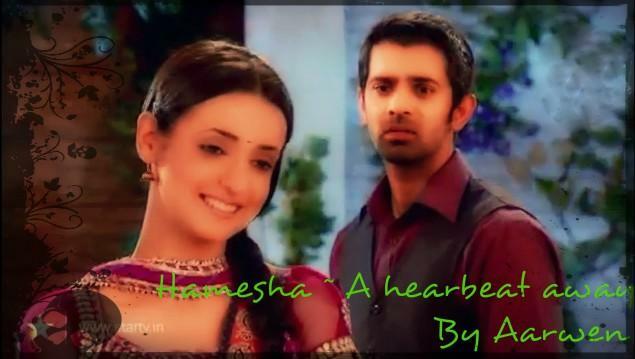 Hehehe.. ajeeb baat hai na“, Khushi was grinning happily as she started to move, but a steady clear voice spoke up. “Guys Khushi will come down, but first I need her here for a little longer. She will come down later“. ASR had the air of stating the obvious. This time he was not letting this crazy girl, who apparently thought his nani was her nani, out of his sight. “parr.. kyu?” Khushi indignantly stuttered. “k.. kya?” She whispered, forgetting everyone around her. A shiver down her spine. Why did his voice hold promises untold? “bas.. karni hai“, was all he said and waited for everyone to leave. NK had his eyebrows raised and even Payal and Akash wore amused expressions, but ASR was not interested. He remained waiting with his arms folded. Once the last of the crowd had disappeared he looked at the girl who claimed to be like him. Anjali felt a little guilty about her annoyance at ASR. He had only been worried about her after all. She shouldn’t have been miffed at his curt tone with Shyamji. Her glass bangles jingled as she fixed her saree’s aanchal. The truth, if she cared to admit to herself, was that try as she might her spirits were sinking lower with each passing day. Shyamji was so unpredictable these days. It left her forlorn and forever on edge. She would have to pull herself together. She shouldn’t make such a big deal out of nothing. Hadn’t Shyamji been perfectly wonderful today? She had managed to calm herself by the time the crowd from the rooftop entered her room. They were still smirking, a fact that was not lost upon Anjali. “wo anjaliji khushi Arnavji ke sath..” Payal couldn’t complete the explanation because NK wanted to be the bearer of such fun news. Anjali had to clutch her sides in pain from laughing hard. “NK bhai banana nai bahana.. And all of you together could not bring Khushiji from chote? Koi kaam ke nai ho tumlog” She teased. At this everyone giggled some more. They could not believe their eyes, ASR wanted to spend time with someone that was not Aman and he did not seem to be angry with her either. Stranger events had rarely occurred at shantivan. While the younger generation was busy enjoying the simple pleasures of a house with people in love, the elder generation walked into the room. “Who will go call Khushiji?” Anjali threw the open ended question into the room. There were no takers. ASR was clearly in no mood to send her down, no one was going to risk calling her. As luck would have it, all eyes slowly turned towards Om Prakash. He was sent off to call Khushiji. An unhappy Om Prakash grudgingly trotted upstairs wracking his brains for a plausible reason. He knew whatever reason he came up with, he would surely get yelled at by Arnav bhaiya. Why did he always get stuck in such a situation? Well in the worst case, if Arnav bhaiya got too angry, he could always own up to locking Khushiji inside with him. Surely that would save him from some of the shouting..
“Arnavji what do you think of yourself? Aap aise kaise kar sakte hai?” Khushi demanded loudly. “Don’t talk to me in that tone Khushi. Kya kiya maine?“, came ASR’s terse reply. He had not expected this sudden outburst. “aap.. do you know what everyone will think.. ki aap.. hum.. we want to be alone to..” she quietened down, a hopeless panic on her blushing face, as it finally dawned on her there was no way she would be able to finish the tirade and explain to Arnavji what other’s must think. ASR wasn’t the famed owner of a shatir dimag for nothing, he caught on. And smirked complacently. So she had guessed why he wanted her alone. No point in making her lips wait any longer. His fingers wrapped around her slender wrist and jerked her close. And wasting not a second more his longing lips claimed hers. As they moved firmly over hers, she sighed and settled into his arms, in the exact way that felt perfect. Her soft lips were plaint and eager, responding with a fervor that left ASR in a welcome muddled haze. She clutched his shirt with her fingers as his hand encircled her, stroking with a touch so possessive that it left her reeling. Her body was attuned to his every thought, but she had not anticipated the tremulous gasp that would escape her lips as he pulled her even closer. Her gasp made him halt. Then leisurely, continuing to hold her, he simply looked at her. A smile playing on his lips. His eyes were dancing with mischief as they registered the heat in hers. He could get used to having her here, without distraction or any disruption. Just the feel of her breath on his, and her vitality and life running through her veins, rejuvenating him. That is how they were standing intimately entwined when Om Prakash found them. He gulped at the sight and considered averting his eyes, but could not. A few more seconds of gulping like a gold fish sucking in air and finally he would have turned and left, but lakshmiji had followed him and chose that opportune moment to call out to her friend. “maee“.. Om Prakash was caught. ASR felt Khushi pull away, but he jerked her back, refusing to let go. “What?” he snapped. This Om Prakash would surely have his salary cut. Maybe everyone needed a long vacation so he had the house to himself and Khushi alone in the house with him. Or better still maybe he should take a vacation with Khushi. Having her all to himself, the possibilities were endless. “What the?! Om Prakash have you gone utterly insane? do you think I give a damn about the dhobi?” ASR was about to lose his temper. “Arnavji.. what the nai.. You should care about the dhobi.. aapko pata hai aap kitne pyare dhobi the.” Even though he was confounded by what she had just said, her giggle was enough to light up his world. Nice update rhea. I luv how you include the scenes from the serial and add your twist to it. Looking forward to the next chapter please update soon!!!! I am curious as to who is going to figure out first about Shyam being two faced ASR or Anjali? Part of me wants Khushi to blurt it out to ASR and both of them bring him down and another part of me wants Anjali to expose him. Thanks for sharing your story . thanks a lot rashmi.. every time I try and force myself to remain as true to arshi universe as possible.. and so with no ‘big’ twist and turns also asr and Khushi manage to feel so wonderful.. glad you like the concept..
wow great ideas for Shyam reveal.. but my mouth is sealed.. read to find out.. thats the deal! i wish i could beaten up that man ..his logics are stupid..she understood his state and helped him by just her presence..how sweet and lovely..i always love how she make him forget the tensions and make him smile..sometimes being outspoken is needed..i love Arnav for it..hahahe doesn’t care about the family members presence..
i forget to express my love for the banners..this one is perfect..i love the rust color on hom..
haha poor OP. 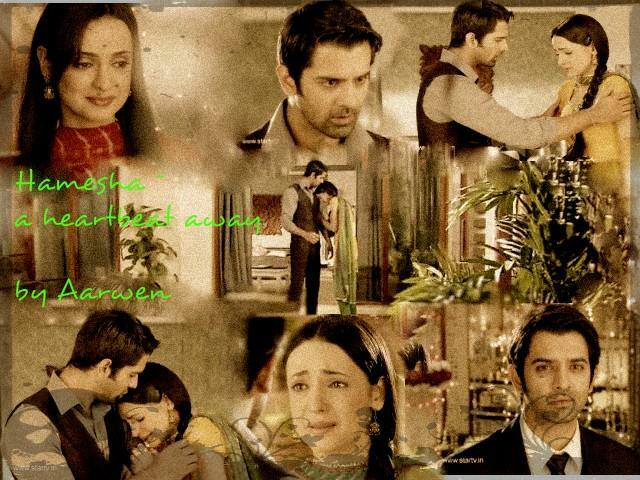 This scene and episode where ASR is trying to woo Khushi since pati jo hoon is perfect. Thanks for noticing the banners dear.